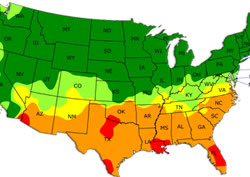 It’s that time of year when anyone with even the slightest hint of allergies, is about to be tested to the fullest with the high pollen counts getting ready to engulf the Charlotte NC area! Historically, springtime in Charlotte is a very rough time for anyone who experiences allergy distress. In fact, in 2010, WebMD ranked Charlotte the #5 worse city in the US for people who suffer from allergies! According to the Carolina Asthma and Allergy Center, 3rd worst place to live for allergies in the springtime! As a homeowner in Charlotte, there are several things you can do to reduce the indoor pollen levels and increase the air quality at the same time. In this Charlotte HVAC Guide article, we take a look at indoor air quality in Charlotte homes, and how you can make the inside of your home, a better place to breathe with a few easy tips for maintaining your hvac system. How to prevent allergies inside your home begins with a good refresher in spring cleaning, and ends with some common sense tips that are easy to forget until its too late and you’re sneezing! Keep a fresh supply of hvac filters on hand and change them more often during the peal allergy seasons in Spring and Fall. Instead of changing the filter every 30-45 days, if you suffer from allergies, try changing it every 20-30 days instead. Keeping the fan on the hvac system running all the time will provide a constant filtering of the air inside your home. While this won’t catch all airborne allergens, with a clean filter, it will help catch more! During the spring and fall months when allergies and pollen are at their peak, you can switch the filters for more expensive ones that provide higher filtration. Home hvac filters are rated with a MERV number (Minimum Efficiency Reporting Value) and the higher MERV number, like MERV 16, means its a a better rated filter. Keeping the carpets clean and a clean filter on your vacuum will help reduce pollen inside your home! Weekly vacuuming should be done to remove as much as possible from the carpeted surfaces of the home. Pets that go in and outside the home often are great vehicles for pollen and dust. After your pets have been outside for a while, make sure you wipe them and brush them off outside before they come back inside. Hardwood floors, shelves and any flat surface that catches dust are going to be hard to keep clean during the allergy season in Charlotte! Weekly cleaning that includes dusting will definitely help. 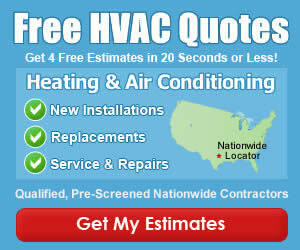 Talk to your regular HVAC Contractor and request a free quote for a whole house air cleaner system! They install within your homes duct system in just a few hours time, and can take air filtration and cleaning to the extreme! When the pollen outside is starting to coat everything with a nice yellow film, it’s pretty safe to assume that those indoor plants and flowers are generating in the same way! Move your plants and flowers outside and hose them off once a week to keep the indoor pollen down. We love hearing from readers like you! How about sharing a tip or two of your own in the comments section below. Help others learn how you increase the indoor air quality in your Charlotte home!